Bucha da vitrine de exposição para testo 160 | Instrumentos Testo S.A.
Com a bucha da vitrine de exposição para a sonda digital de temperatura e humidade (0572 2022), pode realizar medições discretas nas vitrines mais pequenas - sem influenciar o microclima. The display cabinet bushing for temperature and humidity probes is ideal for measurements in display cabinets and presentation cases. Install the display cabinet bushing in the base plate of your display cabinet. 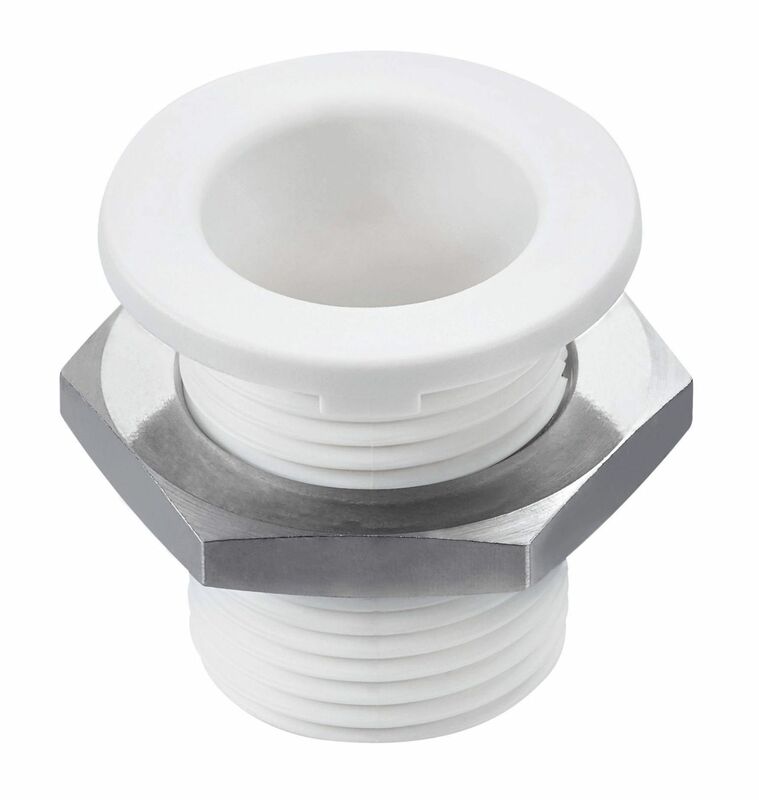 The diameter of the hole required for this is 20 mm. Insert the temperature and humidity probe into the bushing, position the data logger in the display cabinet base and connect it to the probe. The sensitive micro-climate inside the display cabinet remains unaffected thanks to the O-ring seal in the display cabinet bushing. Bucha da vitrine de exposição para a sonda de humidade e temperatura.